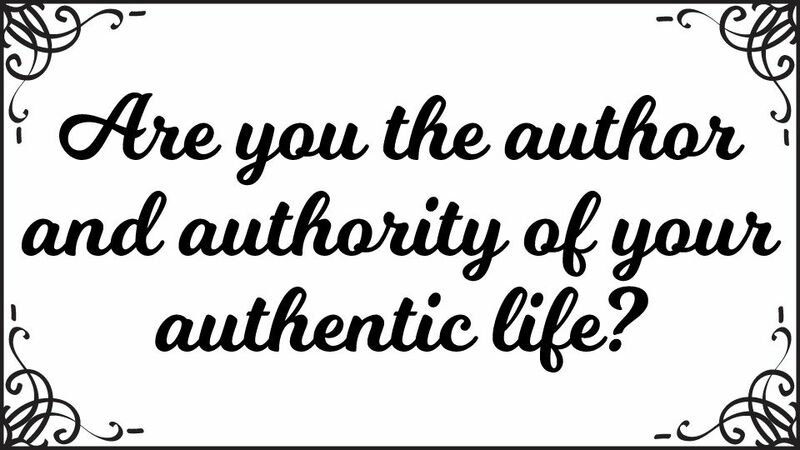 Are You the Author and Authority of Your Authentic Life? Authority. Is it illusion or fantasy? Is it real or legitimate? Is there no authority? Is there a misrepresentation through lack of clarity? What about authenticity? Do none of these things exist, since they don’t exist in themselves as particular objects in reality? Well, neither does truth… but “it” exists. These representations about reality do exist, because they are expressions of us, through us, and we manifest these qualities into existence. We create authentic authority. Or we don’t, and manifest a lack thereof. We are authentic by being authors and authorities of our own lives, through objective understanding of reality, truth and morality. To do so, we are to equalize and align our subjective inner-reality with the objective outer-reality. Otherwise we are inauthentic by being deprived of understanding objective reality, truth and morality. We are buying into, believing (trust, loyalty, faith) and following another’s authority and authored narratives about reality and how to live. To live in a subjective inner-reality that doesn’t align properly with the objective outer-reality, creates a fracture, disequilibrium or misalignment in our ability to navigate, move and progress through the objective reality we actually live in. We are binding ourselves to externalized beliefs in authority, as legitimate ways of living, through the trust, loyalty and faith we put into these beliefs, or the trust, loyalty and faith we put into those who influence and invoke these beliefs into us. “invention, advice, opinion, influence, command,” from auctor “master, leader, author“. Meaning “power to enforce obedience” is from late 14c. ; meaning “people in authority” is from 1610s. Authorities “those in charge, those with police powers” is recorded from mid-19c. from Old French auctor, acteor “author, originator, creator, instigator“, from Latin auctorem “enlarger, founder, master, leader,” literally “one who causes to grow“, from auctus, augere “to increase” (see augment). Author, auctor, auctus, augere is about augmenting, increasing and cause to grow. Something is “grown” into manifested reality where it was not before, instigated by the author who founded it. From the seed in consciousness to the manifested growth in reality that they created. Anything you create has been authored by you. Being authentic, real and genuine, is to be the author of our own life, in alignment with reality and principled living, which maximizes accomplishing of our goals in reality. Going against what is right, good and true, is going against a higher truer potential of the right way of living, and ultimately going against ourselves, our optimal survival through social cooperation. Morality is the principal capital in life for living socially. This is based in reality and grounded thinking, not allowing someone else to condition you to accept a belief (like external authority), without verification. You don’t follow other people and what they do or say, you follow your own determination of morality, truth and anything else by being able to verify it as being true. Be it corrupted or not, accurate or not, it is up to you to determine what is right from wrong, true from false. Notice the current conventional meaning of authority is the corrupted concept that people believe in, developed after the original meaning of the word. Authority, authenticity and authorship, are powers divested from ourselves and put into an external power, often a specialized group. We subsume our innate authorship to be our own authority, and follow the authority of another instead of ourselves. The only valid authority to influence others, for them to possibly follow, is the person who teaches the authority of morality as their way of life, that anyone else can verify in their own life. People will recognize this person understands reality, and what to do, how to live. They gain credibility, reputation and respect for their understanding of reality. This is how natural leaders are formed. This is how people can be influenced into seeing morality and doing the right things. “Government” as an loose idea, can be used in such a way as an advisory council to influence and guide our choices in life, but not dictating what we do. It would be people who have no power other than the power we all have: to speak and influence others according to reality, or unreality. Only verification through reality, of the concepts they speak, can determine if what they speak is true or not. To follow their concepts blindly will produce the same centralized authority we have now. Those who succeed in influence will be from a result of recognition of who is wise and having them influence others. That is the “magic”/influence of life, and not in an evil way. When you take authorship of other peoples lives, to be master of their lives when they do no wrong, you are exercising authority beyond yourself and without the corrective capacity of morality to justify your actions. This makes you inauthentic, disingenuous, and unreal, because you are trying to be the generator of everyone’s reality. This confusion leads to more coercion and control, and you become the author of immoral actions as though they are “moral”, wrongs as if they are “right”. This is the conventional “authority”, where everyone is giving up their own authority to author their lives rightly. 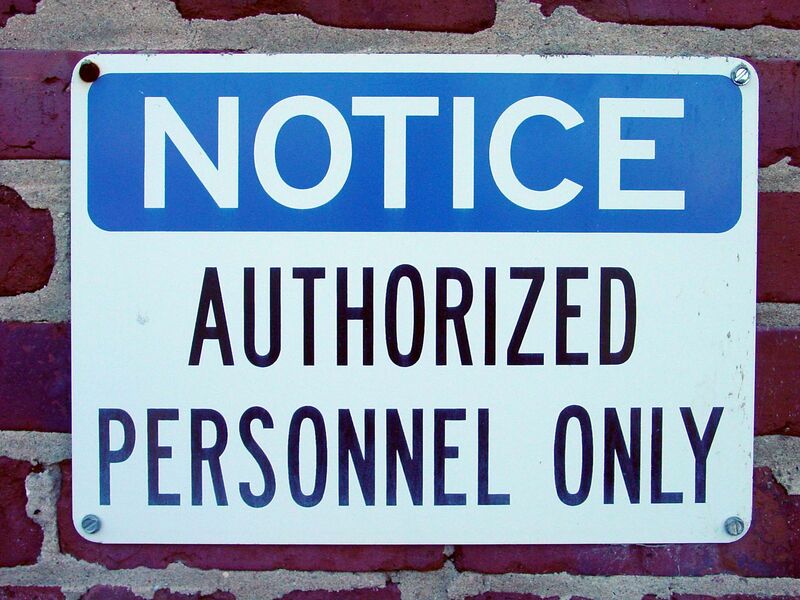 We are obeying the authorship of others to have authority over us. We are not authoring and creating our own lives, but are living the word symbol spell narratives cast on consciousness by others, to live in the way other authors want us to live. They create a worldview image for us to buy into, and we buy their story that they authored. We then live their story, and they remain the author and authority over the version of reality we have bought into. We’re buying into the story and narrative they created for us to perceive and navigate through their version of reality. There is a legitimate authority of taking action in reality to stop wrongs, done through a moral capacity, where we live under our own authorship to create the world according to authentic, real, genuine, true (maa) moral living. Everyone is always accountable for their actions. Our authority to be free from other people’s moral authority depends on our adherence to moral authority. Authenticity, is the embodiment of legitimate self-authorship, self-authority and the influence of being genuine, real, authentic and moral that can rub off on others and have them live similarly. This is to be Maa Kheru, True of Voice, and have the ability to influence others towards truth/maat, by being maa/true. This can only be verified through reality itself and objective understanding of morality, not by simply believing the person is true, speaking truth and being true of voice simply because you believe, buy into, and accept what they are telling you. Do your homework, investigate reality to see if your, and others, convictions are true. The authorship of morality does not come from an externalized power, be it a friend, stranger, ruler, the state, government, or even “God” itself as a belief. You, and only you, can determine what is moral or not. You are the author of your own comprehension. You are unique. You are subjectivity that is a part of, and trying to greater align with, objectivity. Morality comes from understanding ourselves and the reality of others: that we can’t subjectively do what we want regardless of what is in objective reality. There are consequences to our actions. We must take into account the reality in which we exist. Other beings matter. We can identity and connect with them on emotional levels. Morality, once understood objectively (in reality) as the optimal socio-relational model to live by, it’s an authored authority for how to be authentic, genuine and true towards others and not create harm. Morality can be written down for others to recognize, but it all comes from consciousness interaction with others and can be objectively determined all on our own. If we simply believe the ideas and beliefs that others tell us, then we are not determining truth for ourselves, not authoring our narrative to navigate life, and not being authentic in understanding reality, truth and morality. Both are conceptual systems for living your life according to the “will” of some “higher force”. God, religion, government, corporations, military, etc., all share a common aspect of giving ourselves to something greater than ourselves. To believe we are a part of some “great plan“, be it god, religious, state, military or corporate plans, we subsume ourselves into a greater whole and we like it, we “feel-good” about it. This is the group-identification and collectivist trap. Externalizing and projecting our power to another force, is not real, genuine, authentic empowerment, despite the “feel-good” effect we have for subsuming ourselves to something we believe is greater than ourselves. True empowerment is with knowledge about the power of our consciousness, and finally seeing how we have been externalizing and projecting our power all this time, for millennia. The sleeper must awaken. Know thyself and how we can be our own worst enemy. We fool ourselves by not knowing ourselves, how consciousness functions, psychological factors, emotional factors, biases, fallacies, attachments, the deceptive power of belief, and more. You likely don’t have the same image-potential ideal way of life in your consciousness that I do, as it comes from my consciousness, me, the author and authority of the depth of moral comprehension I can uncover and try to create into the world. The other imagined and externalized forces of authority (ruler, state, God, etc.) do not have my trust, loyalty and faith to be bound and attached to them. The authority in my life is morality, that each of us can come to know by understanding objective actions and their affect upon others.